Summer 2015 in Africa: Rwanda feels like home. 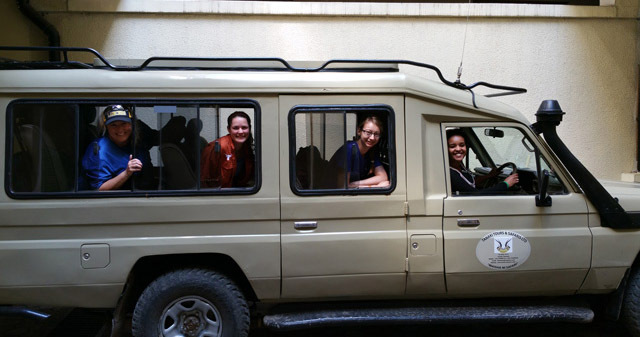 On her second trip to Africa with Westminster’s Dr. Bob Hansen and Humanity for Children, Meredith Bolen ’16 says, “From the many hugs and handshakes, Rwanda feels like home.” In a van on their travels, Bolen is third from the right in the photo above (orange shirt). An education major, Bolen hopes to return to Rwanda when she graduates in order to teach at a secondary school in Rwamagana. “The students have such a great desire to learn. There is not a lack of students, but a lack of schools and distance from the students’ homes. Students are excited to learn every day, rain or shine,” says Bolen about the schools she has witnessed in Rwanda. Read her full blog post.